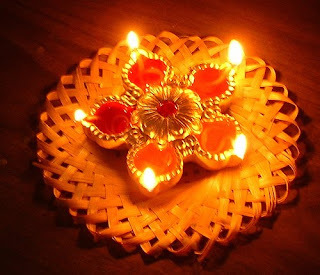 Consumers & businesses are rejoicing the festive occasions of Diwali in India. Diwali, the festival of lights brings on the Hindu new year which is celebrated with prayer, sparkle, and festivity by over a billion people across the globe. Being in India a couple of weeks ago gave me an opportunity join in some of the preparation and participate in some of the festivities. Here are some very interesting email campaigns. A 103 year old financial institution was one of the first to wish its customers. They sent out an email greeting on the eve of Diwali. Customers were invited to any branch office to come join the bank for both prayer and celebration. A major retailer offered to take pictures of you in the apparel you tried and even offered you tasty delicacies in their stores. Airlines were quick to follow with messages at the speed of light – super deals if you book now. A few banks focused on practicality by offering something very creative. They actually encouraged their customers to print out the email and bring it in to purchase gold bars! Yes, authentic gold bars as they are considered to be a better investment than jewelry, gifts, or even holding on to cash. Imagine the ROI on your email campaign – one email leading to the sale of a few gold bars!! More people sent greeting cards through email and mobile messages than ever before. The power of digital has been tremendous. The economy has experienced double digit growth as a build up to this season and the next month promises to be even better. Even Bollywood joined the celebration like no other. To me it almost seemed like a coordinated effort to boost consumer spending! Happy Diwali to all, as businesses across the world hope that this upsurge in consumer spending will translate into more consumer spending across the globe.